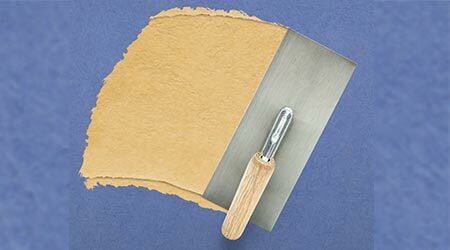 StoGuard Gold Coat TA is the trowel applied version of Gold Coat. The trowelable, vapor-permeable air barrier membrane is used in StoTherm ci systems. StoGuard Gold Coat TA is troweled directly onto vertical above-grade wall sheathing and concrete masonry. It also functions as a waterproof air barrier when combined with StoGuard joint and rough opening treatment. StoGuard Gold Coat TA has all of the features and benefits of Gold Coat. It’s waterproof, vapor permeable, structural, seamless, durable, and has a low VOC. The product comes in five-gallon pails, is ready-mixed for easy application, is water-based, and optimized for CI.